Fry Law Corporation offers the premier services you would expect from a large firm with the convenience and attention of a solo practitioner. We treat each case as if it were our only case. Our clients are comforted throughout the process and satisfied after we have resolved their problems. We strive to make our clients' lives just a bit better when they leave than when they came in. Christopher J. Fry has been a lifelong resident of Sacramento. He was born, grew up, attended K-12 school, college and law school in Sacramento. The majority of his professional experience comes from Sacramento and surrounding areas. In 2005, Mr. Fry humbly began his career in the legal field at the most humble position in a law office as a file clerk at Thurbon & McHaney, LP, a mid-size litigation law firm. He impressed the principals and was quickly promoted to the paralegal position where he stayed for several years. He spent time at the leading consulting firm in Sacramento, MGT of America, but immediately realized that the legal field was where he wanted to be. Over the next several years, he continued his mission to become a prominent California Attorney. Along the way, Mr. Fry worked with some of the State's most notable firms. He spent time working with California's, and possibly the Nation's, premier Constitutional law firm, Palmer Law Group. He also had the pleasure of working with one of Northern California's most prominent trial attorneys, John M. O'Brien. Mr. Fry also co-founded California's prominent litigation firm Greene Fry, APLC. Mr. Fry's experience has created a well rounded legal professional capable of dealing with essentially any given legal situation. In his career, Mr. Fry has been involved in complex litigation focused on areas such as; Constitutional Law, Business Litigation, Consumer Rights, State and Federal Government Liability (Tort, Contract and Constitutional) and Personal Injury. He has researched, developed and implemented legal arguments set forth in cases against the City and County of Sacramento, the State of California, and even officers of the United States of America. He has worked on cases in numerous State and Federal Courts, the Third and Sixth District Court of Appeal, the Ninth Circuit Court of Appeal and even the United States Supreme Court. Some of the cases Mr. Fry has worked on can be found in published appellate opinions. In addition to Mr. Fry's experience in complex litigation against governmental defendants, he has successfully litigated against America's largest financial institutions. In fact, he has led many cases representing homeowners for predatory lending, mortgage fraud and wrongful foreclosure. While these institutions employ only the most prestigious attorneys, he has briefed and prevailed on many demurrers (objections) and motions for summary judgment, including cases against Bank of America, JPMorgan Chase, Wells Fargo, and various others. Mr. Fry graduated with his Juris Doctorate, sat for, and passed, the California State Bar Exam on his first attempt during an exam that posted all-time low passing rates. 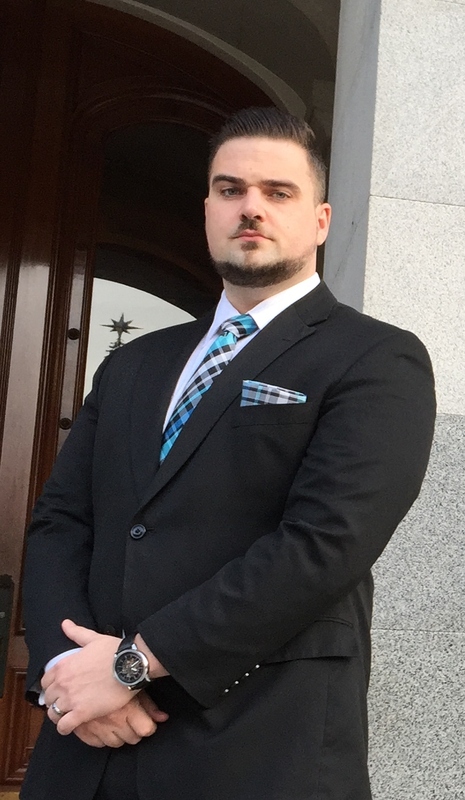 With his passion for standing up for those without a voice, he has decided to continue to practice as a trial attorney and will continue to strive to help aggrieved citizens throughout California. Mr. Fry is admitted in all Courts in California and is a member of the Capital City Trial Lawyers Association, Young Lawyers Association, American Bar Association, Sacramento County Bar Association and the Litigation Section of the California State Bar Association. He is also a member of the Uniform Law Commission and currently observes in the Unclaimed Property and Foreclosure Law divisions. Mr. Fry has been published in a multitude of legal publications and routinely contributes to ongoing legal discussions. In his free time, he enjoys golf, CrossFit, snowboarding, fine dining, water sports, traveling with his beautiful wife, wine tasting and hanging out with his dogs. Basically, he enjoys having the privilege of living in this beautiful State of California!